"We are a traditional mortgage company that leverages technology as its competitive edge," said Mark Greco, President and Founder of 360 Mortgage Group. "We are eager to apply our traditional know-how in the reverse space and we are confident that the ReverseVision end-to-end platform will support our success." SAN DIEGO, Calif., March 11, 2014 (SEND2PRESS NEWSWIRE) — ReverseVision, Inc. (www.ReverseVision.com) is pleased to announce that 360 Mortgage Group LLC (360 Mortgage Group), a privately-owned mortgage banker with a primary focus on third-party origination, has joined the growing ranks of reverse mortgage lenders and will be using ReverseVision’s reverse loan origination system, RV Exchange. A reverse lending operation had been in the plans for 360 Mortgage Group for some time, and their timeline accelerated when the firm was able to hire Mike Suits – an expert with these loan programs. With its launch this month, 360 Mortgage Group will be originating reverse mortgages via retail, wholesale and correspondent channels. The most widely used platform in the reverse space, RV Exchange was designed from the ground up to manage reverse mortgage origination from the first point of contact between a LO and a customer. Its automated workflow allows loans to seamlessly flow from origination, through underwriting and closing, to the lender’s secondary or servicing group, reducing errors and streamlining operations. RV Exchange was developed to eliminate the risks of double data entry, and its business rules can block progress on the loan until it is ready to move to the next step. Lenders experience higher profits and reduced risks with the ReverseVision’s RLOS platform. Since the reverse mortgage is much more complex than a forward loan, the RV Exchange makes it easy for loan officers to explain set-asides, cushions, and equity available to their customer by simply entering key parameters about the borrower and the property. RV Exchange’s dynamic allocation graph paints a crystal clear picture of how the loan program will work. Established in 2007, 360 Mortgage Group LLC is a privately owned mortgage bank with a primary focus on third party origination that has successfully utilized its high-technology platform to provide better communication and customer service to business partners. An approved Fannie Mae seller/servicer, Freddie Mac seller/servicer and Ginnie Mae Issuer, 360 Mortgage Group is headquartered in Austin, Texas and provides services in 44 states across the country. 360 Mortgage Group has emerged as an industry leader in refinancing under Home Affordable Refinance Program (HARP) 2.0. For more information on 360 Mortgage Group, please visit https://www.360mtg.com/. 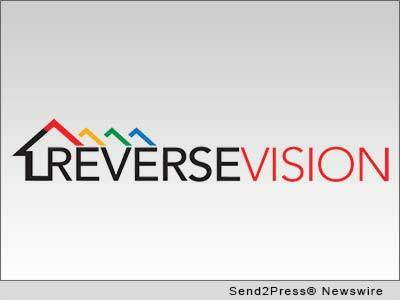 ReverseVision, Inc. ( http://reversevision.com/ ) is the leading software and technology provider for the reverse mortgage industry offering products and services focused exclusively on reverse mortgages. More reverse mortgages are originated monthly using their core application, RV Exchange, than all other systems combined. ReverseVision has partnered with some of the finest and fastest growing lending organizations in the US to provide the leading reverse mortgage technology to brokers, correspondents, lenders and investors. ReverseVision is recognized as a driving innovator in the reverse mortgage industry. ReverseVision continues to improve their software with frequent new innovations building on pioneering capabilities in reverse mortgage interactive graphs, scenario analysis, multi-environment performance analysis and workflow in the origination process. Original Keywords: Mark Greco, Reverse Mortgage Lending, 360 Mortgage Group, Andrew WeissMalik, ReverseVision, Inc.,Reversemortgage, 360Mortgage Group, ReverseVision, Mark Greco, Andrew Weiss Malik, John Button, Rob Katz, reverse loan origination system, RLOS ReverseVision, Inc. San Diego California SAN DIEGO, Calif.
REFERENCES: Alliances and Partnerships News, Mark Greco, Reverse Mortgage Lending, 360 Mortgage Group, Andrew WeissMalik, ReverseVision, Inc.,Reversemortgage, 360Mortgage Group, ReverseVision, Mark Greco, Andrew Weiss Malik, John Button, Rob Katz, reverse loan origination system, RLOS ReverseVision, Inc. San Diego California SAN DIEGO, Calif.